Cancellation: Minimum 1 week before check in time or full price will be charged. Your comfort is our top priority. that is why we only have maximum 8 beds in our all air-conditioned dorm rooms so that every single guest has the maximum amount of free space and facility use available to them! - FREE water refill, elevator, high-speed Wifi. We also believe you deserve FREE stuff... lots of it. - FREE tips to the best foods and attractions in town (the hostel owner is a New York Times featured food blogger) which you will unlikely to get anywhere else. - Games, guitar and computer are equipped ! 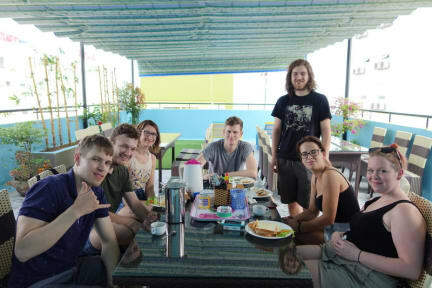 LOCATION: Our hostel is next to Danang's beautiful main beach, a $1.5 quick taxi ride to Han river and to Vincom mall, the biggest shopping mall in Danang with cinema and a skating rink! Food wise, we are surrounded by the city's best seafood, local and international restaurants at cheap price. If our cozy underground bar is not your thing, you will be pleased to find that we are right next to one of Danang’s only 2 sky bars. We got all your booze need covered! If you prefer to live closer to the city center, our sister 'Thanh Hoang Chau hotel' is a perfect alternative. ROOMS: We are specially designed for both solo travelers and couples/families with dormitory and hotel standard private rooms and apartment suites. 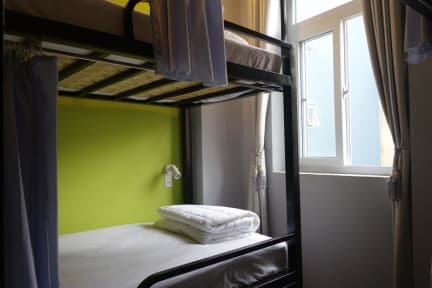 All rooms are air-conditioned, especially, each of our dorm beds has a reading lamp, power socket, privacy curtains and a huge under-bed locker. 1) A refundable key deposit of 100,000VND (5 USD) will be collected upon checking in. This will be returned to you when you return the locker key when checking out. 2) We only clean room/bed upon request. Otherwise we won’t enter your room. 3) Reception open from 8:00 to 22:00. Outside of that period, there is a security guard who can check you in/out but speaks little English. 4) Check in from 1PM, check out before 11AM. 5) We accept credit card and cash payment upon arrival. The location of this hostel is easy to reach the beach. Front door has to be opened by digital lock, feel more security. The room is clean and ok as a whole. The bed rate includes breakfast but I eat breakfast at the roof, it is too strong wind, n no English tea to serve, if order tea, it is Chinese tea. It can be improved breakfast. The reception persons are helpful to provide travel information. As a whole, it is worth to stay there.